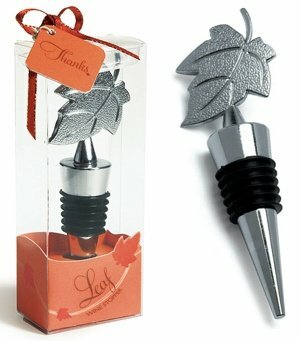 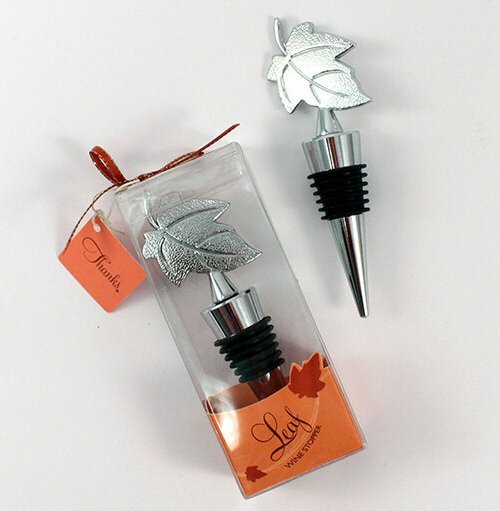 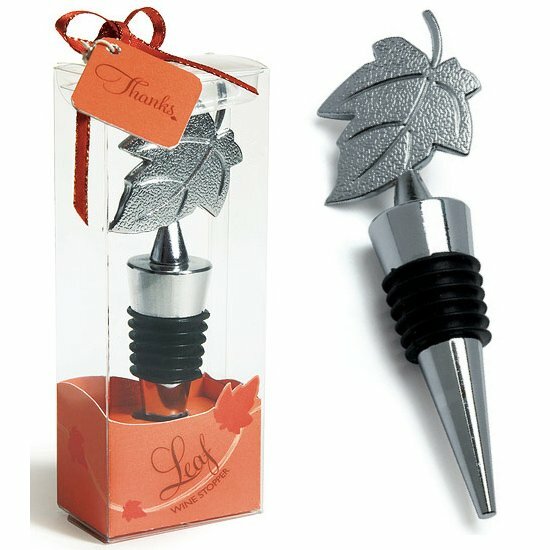 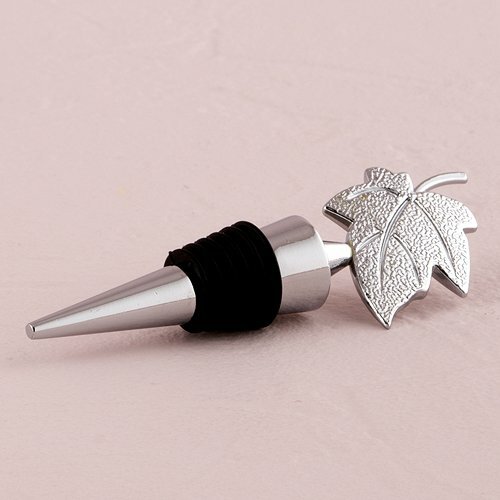 Here is a nature inspired wine bottle stopper that features the beauty of a single leaf. 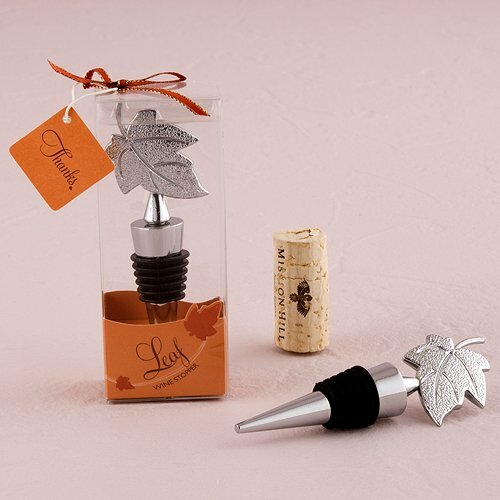 This elegant silver metal leaf stopper makes a thoughtful favor idea for special occasions featuring an outdoor or fall theme. 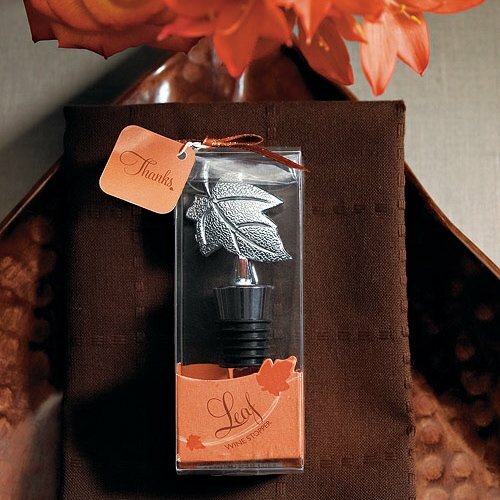 Includes an artfully designed gift box printed with a swish of graphic leaves, ribbon and gift tag completely ready for presentation. 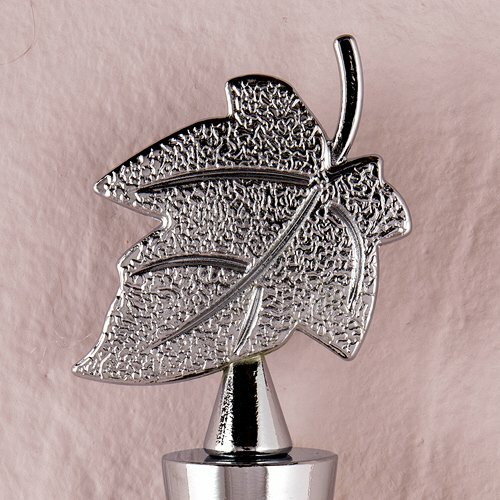 Made of alloy metal and aluminium with chrome plating.